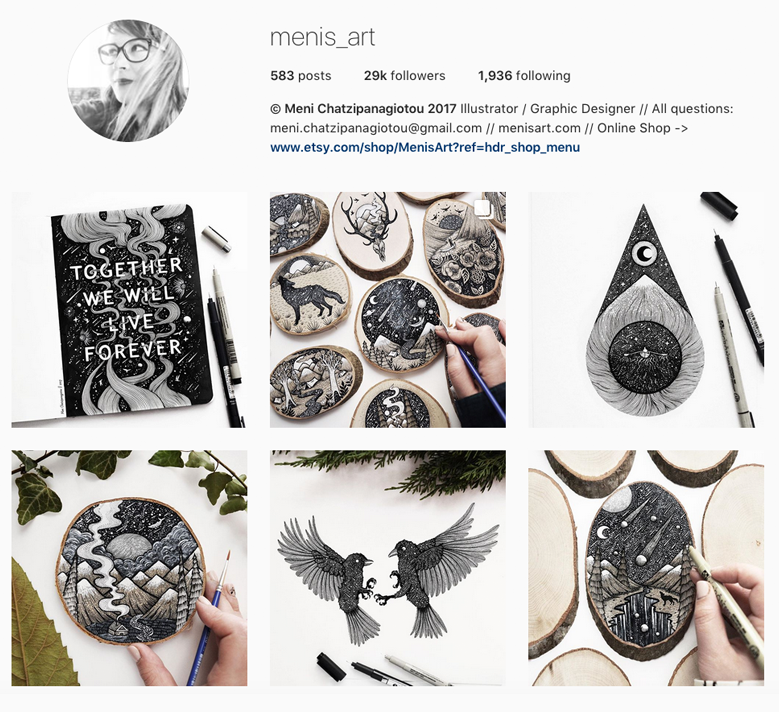 Meni Chatzipanagiotou of menis_art is an illustrator with such a detailed hand, it amazes. Her black and white creations, whether on wood or paper, have a compelling visual depth and beauty. 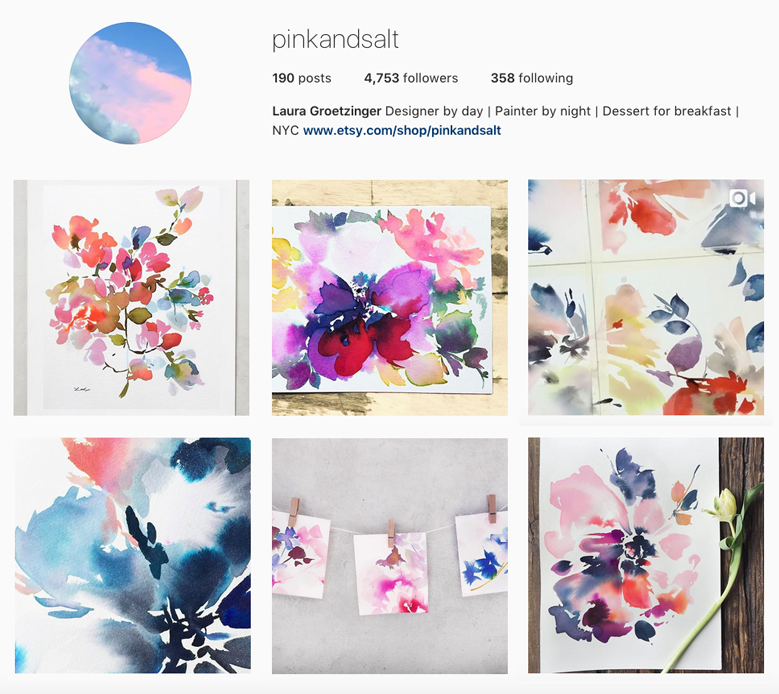 Laura Groetzinger of pinkandsalt uses her deft touch with watercolors to create these ethereal floral paintings. I want them all. Nicole.gray_ (aka. 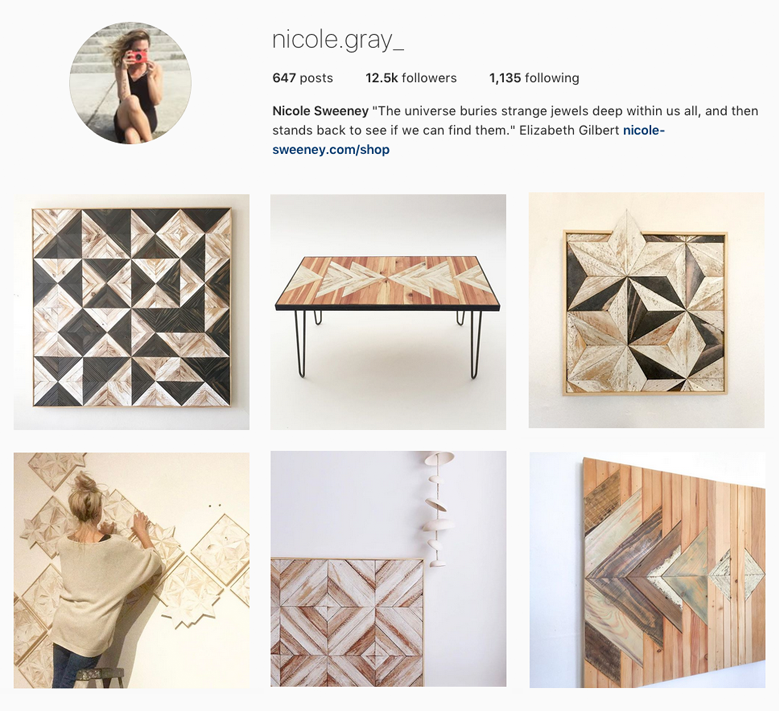 Nicole Sweeney) uses a fairly basic shape – a wood triangle – to fashion some remarkable wood mosaics, playing off of color and texture. 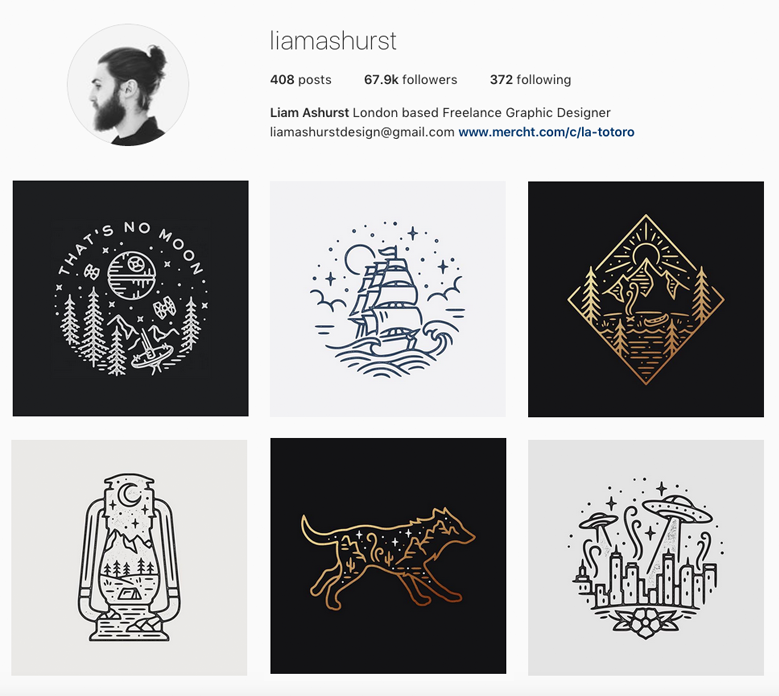 liamashurst (Liam Ashurst) is a very talented designer and illustrator, who has mastered the style of monoline design with these vector drawings. Teach me your ways, Liam! 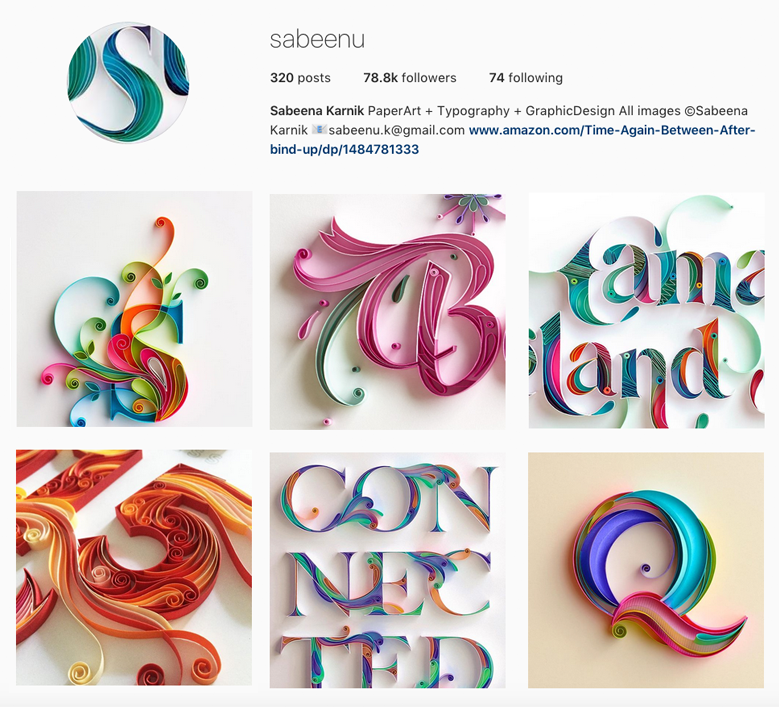 Quilling is not an art form you hear much abotu (or maybe even know the name of) but Sabeena Karnik of sabeenu is clearly an expert at handling those paper curls. How many paper cuts do you think she gets in a day? 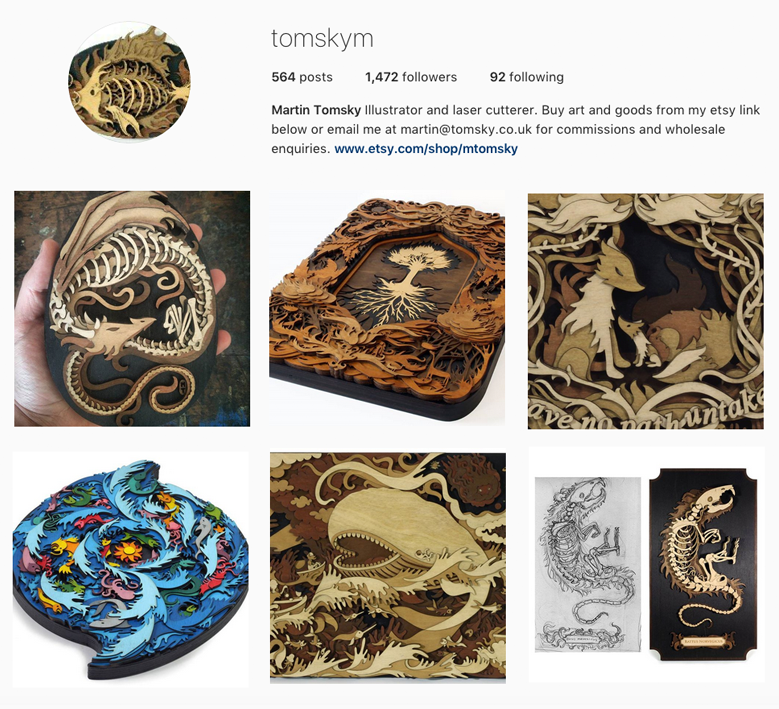 Martin Tomsky of tomskym with his focus on story and mythology. Using wood staining and precision layering, he creates amazingly intricate wood sculptures. Not helping my desire for a laser cutter here, Martin. 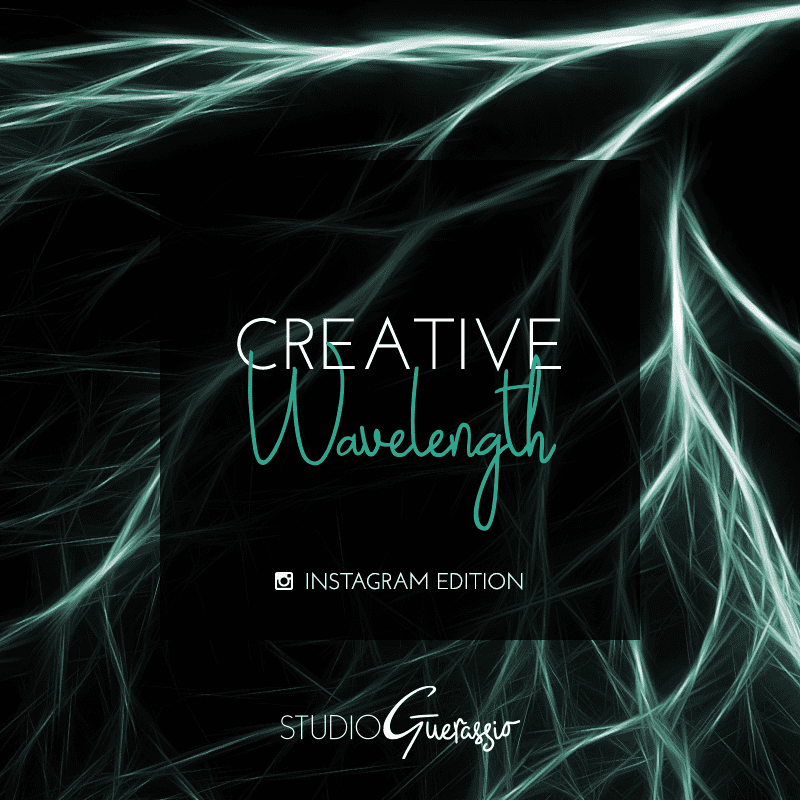 Who are your favorite creative people to follow on Instagram?